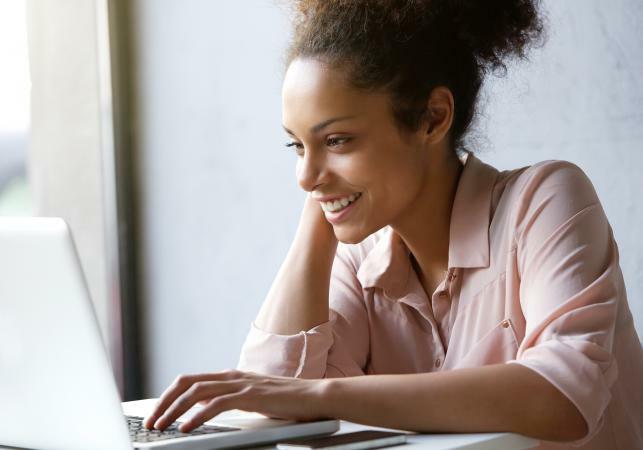 If you're a working woman whose education was interrupted or delayed by various life circumstances, you might be interested in college scholarships that can put you back on the road to achieving your goals. Whether you're starting technical school or college for the first time or returning to higher education, you'll be glad to discover that you can get financial assistance. The Jeanette Rankin Women's Scholarship Fund got its start in 1976 as the Jeanette Rankin Foundation, whose purpose was to help mature, low-income women obtain a college education. Today, the Fund continues its mission. Each year, it awards scholarships of $2,000 to low-income women over the age of 35 to help them with the costs of their education as well as living expenses and child care. You must have the goal of earning a technical certificate, an associate degree, or a bachelor's degree. You must be accepted to or enrolled in, a college or university that's accredited by the ACICS (Accrediting Council for Independent Colleges and Schools) or one of the regional accrediting bodies defined by the Council for Higher Education Accreditation (CHEA). You must qualify as low-income according to government guidelines published by the U.S. Department of Labor based on your household size. The maximum qualifying income for a household of two people is $30,571. For a household of three people, the maximum qualifying income is $41,974. To be competitive for an award, you must have a career track in mind and show that you have the ability to overcome difficulties and reach goals. You must demonstrate that you understand how a college education will help not only you and your family but also the community in which you live. To apply for an award from the Jeanette Rankin Women's Scholarship Fund, you will need to make sure the application cycle for a given year is open by clicking on the application link. The deadline for an academic year will be in March. If you meet the requirements and the application cycle is open, click on Apply Now, and you'll be taken to a page where you can create an account and make your application. Fill out the application as thoroughly as you can since awards are competitive. Sponsored by the National Hook-Up of Black Women, Inc., the Dr. Wynetta A. Frazier "Sister to Sister" Scholarship offers financial assistance to African-American women over the age of 21. To qualify, women need to either be going back to college following an interruption of their educational plans or be heading to college for the first time after a delay for similar reasons. Awards are given of $1,000 to help women achieve their goal of a college education. To be eligible for an award, you must be an African-American woman and at least 21 years old. You must have gained acceptance to a university or college and be able to demonstrate your talents and abilities through community activities or social services you have done. You must also qualify by meeting the criteria of having had your educational plans interrupted or delayed by family obligations or challenging personal circumstances. To apply, you need to download and print out the application during the period the organization makes it available and fill it out as completely as you can. Along with the application, you must provide some other items for consideration and informational purposes. Send all material in one packet to the address at the bottom of the application. You need to provide an acceptance letter from the university or college you'll be attending. You'll need two letters of recommendation which can't be from members of your family. If you're a returning student, you must send official transcripts from the universities or colleges you've previously attended, and if you're a first-time college student, you'll need to send your official high school transcript. You must send in a recent photograph of yourself, between the sizes of 2 x 3 and 5 x 7. You must send in an essay describing your particular life circumstances that qualify you for the scholarship. Include in the essay an assessment of the unique talents you've gained through the academic or community work you've done. 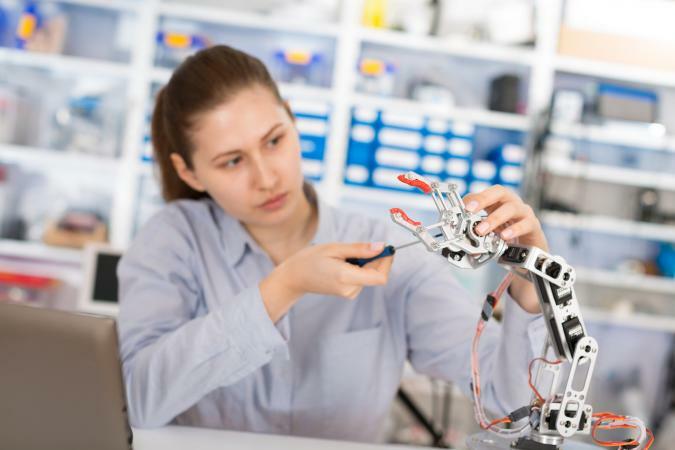 The Society of Women Engineers offers two scholarships for women who are nontraditional students or who are re-entering college to pursue a degree in an engineering field. The engineering program must be accredited by ABET (Accreditation Board for Engineering and Technology). The BK Krenzer Memorial Reentry Scholarship awards $2,500 every year to one student, and the Olive Lynn Salembier Memorial Reentry Scholarship awards $1,500 every year to one student. To be eligible for one of the SWE scholarships for non-traditional or returning students, you need to be a woman who is either enrolled in or accepted to an ABET-accredited engineering program. You must be a U. S. citizen or a permanent resident. You'll need to apply for an SWE scholarship by creating a profile and applying through the online application system. In addition to submitting your application through the system, you'll need to upload additional information. You must upload transcripts from any colleges or universities that you've previously attended, along with arranging for those institutions to mail in your official transcripts. You will also need to upload an acceptance letter from the college or university in whose ABET-accredited engineering program you plan to enroll. You must also provide email addresses for two people who can provide references. One of these references should be an instructor in a STEM (Science, Technology, Engineering and Math) field who is familiar with your aptitude and abilities. The other reference should be from someone who knows you personally but isn't a family member. The ASIST (Adult Students in Scholastic Transition) Scholarship, sponsored by the Executive Women International Scholarship Program, awards thirteen scholarships that range from $2,000 to $10,000. ASIST Scholarships are intended to help adult students who are facing difficult circumstances, whether social, financial, or physical, improve their lives through education. To be eligible for an ASIST scholarship, you must live within the boundaries of an Executive Women International (EWI) chapter. To check whether you fulfill this requirement, you should review the list of chapters. You can be either a non-traditional student or a returning student, and you must be a woman who's older than eighteen. You must have clear career objectives and plan to use available resources for non-traditional or re-entering students, whether at the college or university you will be attending or through the community at large. To apply for an ASIST scholarship, download the application and fill it out as completely as you can. You will need two letters of recommendation. If you've previously attended college, you must provide transcripts that show the grades you earned. You also must write an essay on why you qualify for an ASIST scholarship, describing your career goals and explaining how a college education will help you achieve them. You must submit your materials to one of the chapter contacts listed on the bottom of the application instruction page. The Philanthropic Educational Organization (P. E. O.) sponsors a Program for Continuing Education that makes awards of up to $3,000 to women. The awards are based on need and are offered to women whose education plans were interrupted and who want to go back to school to earn a degree that will improve their career prospects. The award money can be used for education-related costs such as tuition, books, fees, equipment and supplies, transportation, and child care while attending class or studying. To be considered for an award, you must be sponsored by a P. E. O. chapter. You need to be a United States citizen or a permanent resident and be enrolled in a program that leads to a certificate or a degree. You must live in the United States or Canada during your schooling, and you must have had at least 24 months in your adult life of not being a student. You also need to have sufficient past schooling to be able to finish your degree or certificate program within 24 months. To apply for sponsorship, fill out and submit the information form for potential candidates found at the bottom of the eligibility requirements page. If you're selected as a prospective candidate by a chapter, you'll be required to undergo an interview with the chairman of that chapter. If the chapter recommends you for candidacy, you'll receive an email, and the chairman will assist you with the online application procedure. You must complete your application and an income and expense statement within thirty days of notification of your sponsorship via email. Soroptimist, an international women's organization, offers the Live Your Dream Award to women who are the main source of financial support for their households and who want to improve their prospects for advancement through education. Awards are disbursed at the local level, the regional level, and the international level. Local award amounts vary from place to place, but local winners are eligible for regional awards of either $3,000 or $5,000. Regional winners become candidates for one of the three available international awards of $10,000. To be eligible for a Soroptimist Award, you must show financial need and be a woman who provides financially for yourself and your dependents. You must be enrolled in a program that leads to a college degree or the development of marketable vocational skills, and you must demonstrate a strong motivation to attain your career goals. You must reside in the United States or one of the member countries recognized by Soroptimist. To apply for a Soroptimist Award, you must download the application form, fill it out using Adobe Reader, then submit your form electronically. On the application, you'll provide financial information and write an essay about the challenges you've overcome in your life. In addition, you must provide two reference forms from people who know you, preferably in the contexts of work and education. You'll email the reference forms to the people who will be filling them out; then they will need to email them back for you to submit to Soroptimist along with your completed application. The Patsy Takemoto Mink Education Foundation offers five awards of $5,000 each to help low-income mothers attain educational goals to improve their lives and those of their children. In choosing recipients for the award, the foundation weighs considerations including a woman's unique personal circumstances, her financial need, her educational and career goals, and her aspirations to community or civic service. To qualify for a Patsy Takemoto Mink Award, you must be at least seventeen years old and be a mother with dependent children. You must be enrolled in an accredited institution of higher education and pursuing a program that leads to a degree or certificate, whether vocational or technical, associate degree or bachelor's degree, or a graduate-level degree, including Masters, Doctoral, or professional. You will need to qualify as low-income, which for a household of two is below $20,000 per year. For a household of three, the upper limit is $24,000 per year, and for a household of four, it's $28,000 per year. Application information for the Pasty Takemoto Mink award becomes available on the Award Applications page of their website in April of every year's award cycle. At that time, in the spring, the Foundation provides a downloadable application for the award. When the application becomes available, you must fill it out and submit it according to the instructions that are given. The Arizona BPW (Business and Professional Women) Foundation provides scholarships of $1,500 to women who want to return to school and attend one of the community colleges in Arizona. These scholarships are funded by contributions to the Foundation, and the money is disbursed to the community college that the recipient is attending. To be eligible for a scholarship from the Arizona BPW Foundation, you must be at least 25 years old. You need to either be enrolled in one of the community colleges in the state of Arizona or plan to be enrolled soon. Candidates must demonstrate their potential and their determination to advance their careers and job prospects by returning to school to further their education. The scholarship is renewable, and if you win the award, you must agree to provide copies of your transcripts and class schedules each semester to the Arizona BPW Foundation. You can download the application or get it from the Arizona community college which you're interested in attending. Along with the completed application form, you must provide your latest income tax returns and copies of your most recent community college transcripts, if applicable. You'll need two letters of recommendation that must be written on the letterhead or stationery of the people who are recommending you. You must also send in a typed biography of one page in which you describe your career goals and any community or military service you might have done. Sometimes things don't work out exactly the way you planned, and life circumstances get in the way of your educational goals. With financial assistance in the form of scholarships, however, you can get the help you need to persevere in furthering your education and enhancing your prospects for a career that will be rewarding for you and your family, both financially and personally.